Why Google Verify My Business, along with Bing and Yahoo? These three search engines make up 92% of search results in 2015. As a business or brand, it’s best to verify your directly with the search engines so you keep contact information accurate for potential clients. It improves your SEO to have consistent search optimized information. This is extra critical for Local Businesses. Hold Up, What is Google+? Are you a Local Business, looking for more online search exposure? 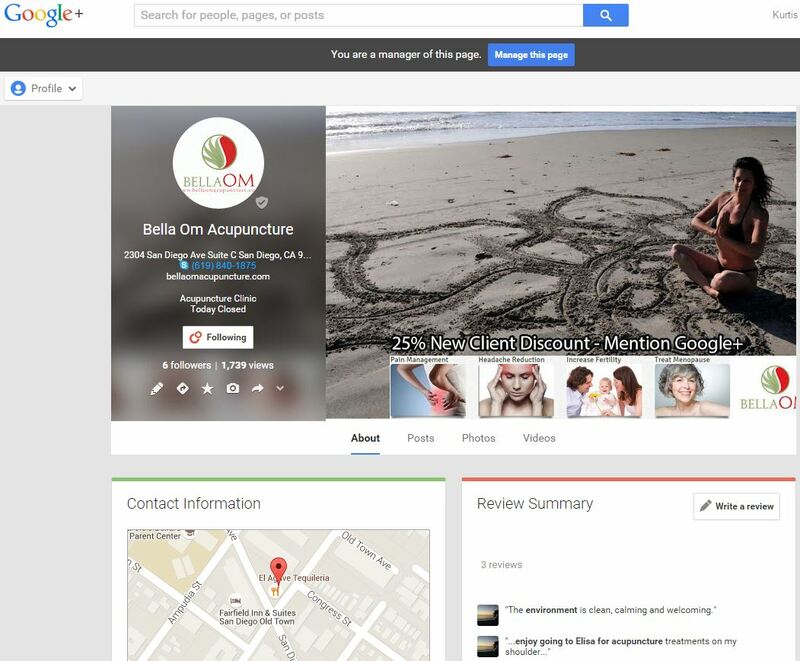 A Google+ page is your brands home on Google Business Listings. If your business has a physical location that customers visit, Google My Business connects you directly with customers, whether they’re looking for you on Google+, Search or Maps. Do you want your business to show up on Google Map search results? Do you want more clients to find you with regular search? Let’s get the process started. Set your business up to be official in the eyes of Google, Bing and Yahoo. We will help your business get officially verified and setup up your Google Plus page. This improves your Google search rank and ensures your business information is correct, allowing customers to find you faster. This business information is also used by other engines online too, so it’s important to manage your business details. You can DIY this and spend hours OR let us help you out. Google Plus Example. The information on the right hand side of the search screen shot below is part of the our service. 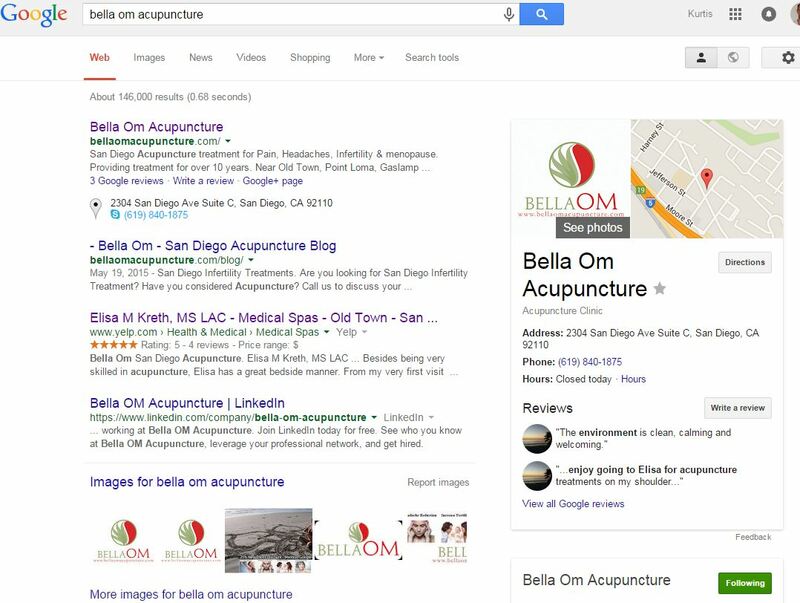 All of the important information about Bella Om Acupuncture (our client) shows up now after we verified this business with Google. Google verifies the address of your business with a post card and special code that proves your business exists. Contact us to get started with your business. The screenshot below shows the information that our client wanted on their Google+ page. We ensured their contact info, address, discounts, business photos and about us section was accurate. This is important because it is the information that Google makes official and shoots out to customers as they search for you or your services. Are You Ready to Create Your Google+ Page and Rank Batter?